The TBMDA3 modulated wideband power amplifier is designed in order to create an inexpensive signal source for immunity testing of electronic building blocks and products. 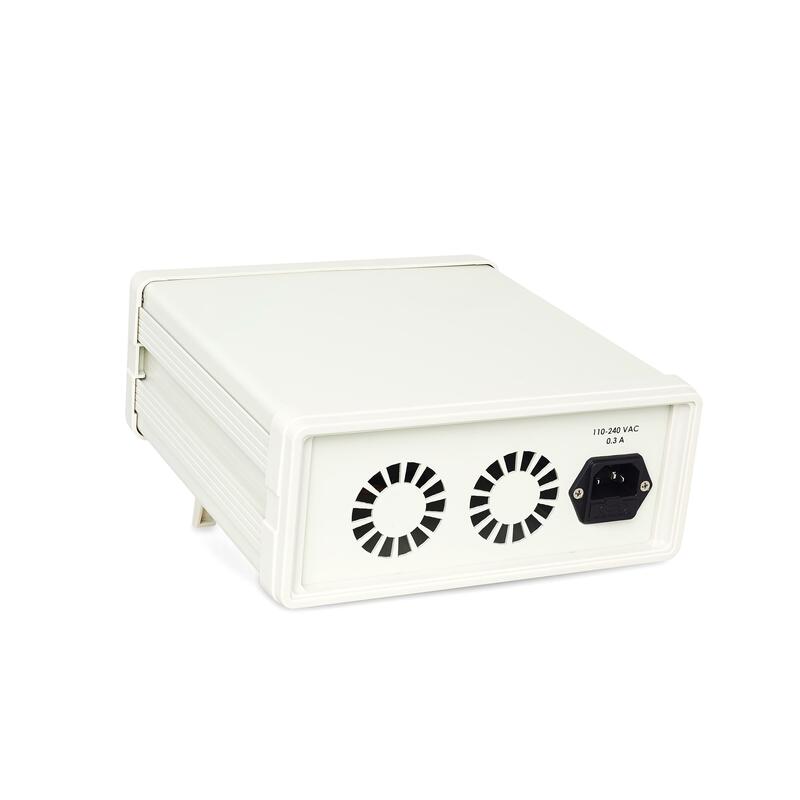 It is designed to be driven by the tracking generator output of spectrum analyzers. With its high gain, it can boost the output power of any tracking generator up to 5W. 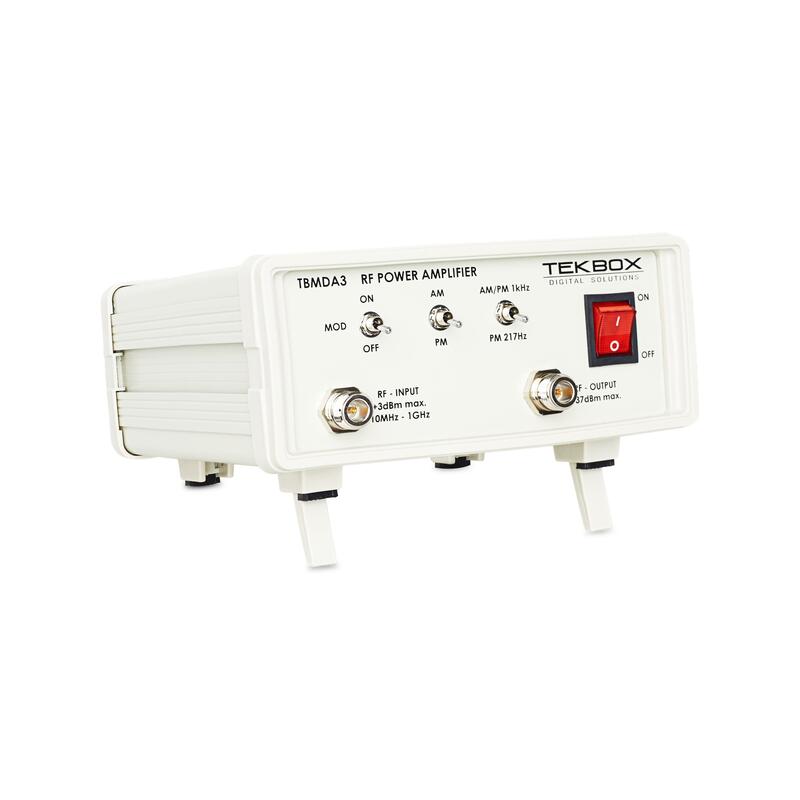 The TBMDA3 is ideal to drive Tekbox near field probes in order to find the sensitive spot of an electronic circuit or to create electric fields up to 550V/m when driving the Tekbox TEM Cell TBTC0, 300V/m when driving the TBTC1, 150V/m when driving the TBTC2 or 100V/m when driving the TBTC3. Test signals for immunity testing can be CW, AM or PM modulated. Consequently, the TBMDA3 provides built in modulation capability to generate 1 kHz AM or PM signals. In PM mode, the TBMDA3 can also generate a 217 Hz Signal with 12.5% duty cycle in order to simulate mobile phone TDMA noise. Harmonics: < – 10 dBc typ.